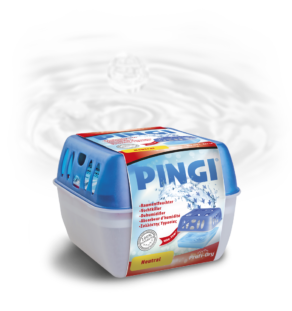 Refill for the PINGI Profi-Dry or PINGI Slimline. 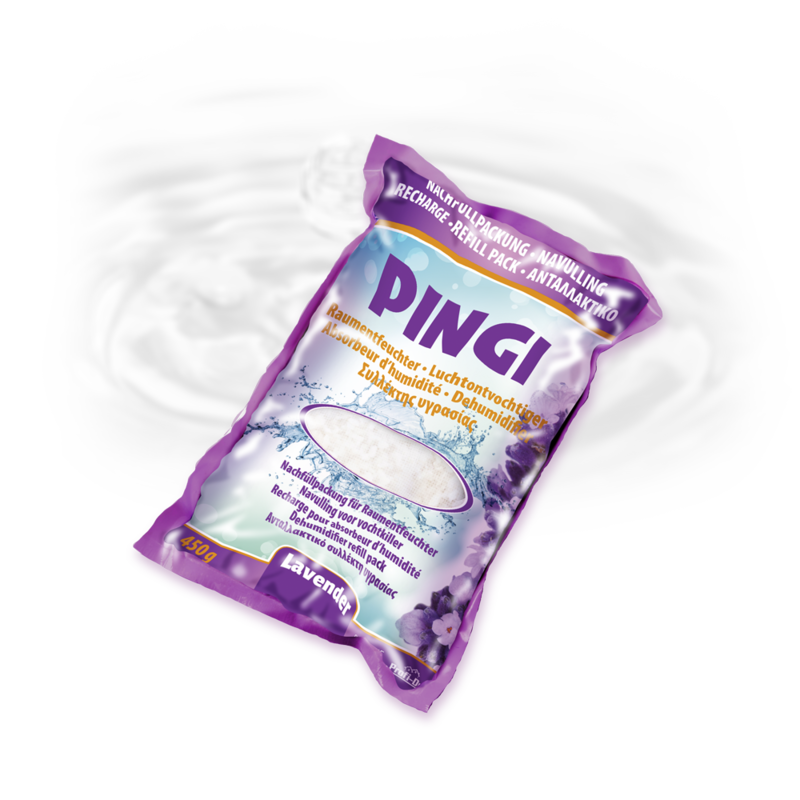 The active crystals of this refill with a delightful lavender fragrance are enclosed in a convenient filter bag. Moisture is effectively attracted and is converted into a clear liquid. The liquid is stored in a container (Slimline/Profi-Dry)*, which can easily be emptied when full. This way, you don’t have to check regularly, and you can rest assured problems caused by high humidity levels are being addressed. 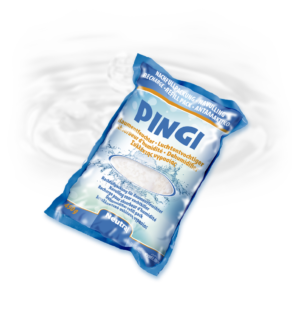 Each refill will keep humidity levels in balance for approximately 8 to 12 weeks.